You are here: Home / Free Samples | Freebies | Free Stuff / Education / FREE The Lorax Poster! 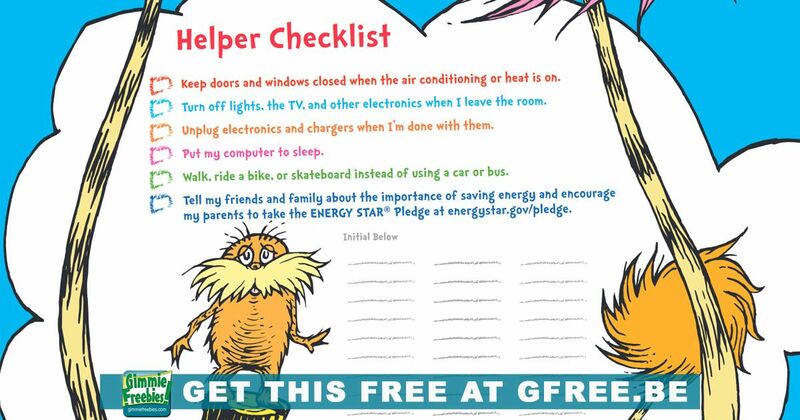 Grab your Free Lorax Helper Checklist poster from EnergyStar! Teach your child to help save energy and fight climate change. You can print out these 20″ x 30″ posters (or print on regular-size paper). They’d be a great addition to any classroom, but are suggested for 3rd – 7th graders. Also, they’d be perfect to use as an Earth Day handout!